Life is full of decisions, some bigger or more impactful than others. This is fairly obvious. 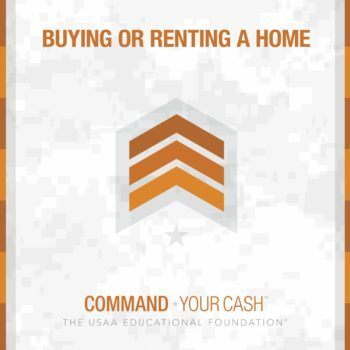 What’s not so obvious is that some seemingly small decisions you make as a young person in the military – we’re talking about money decisions – can have life-changing consequences, both good and bad. Have a (smart) plan for your money. Don’t get caught up in the youthful notion of, “I’ll have fun now and get responsible later.” Lifestyles and spending habits are hard to change once established and “later” can easily become “never.” Not sure you believe that? Ask your parents or grandparents and see what they think. To be clear, there’s nothing wrong with using some of your money for fun, just be sure to strike a balance so that you can have fun later too. Save first. As part of that smart plan for your money, be sure to save some of it – preferably right off the top before it can get used or allocated to something else. Allotments are great for this. Try to save 10-15% of your gross pay if you can, starting with an emergency fund set aside in a separate savings or money market account. 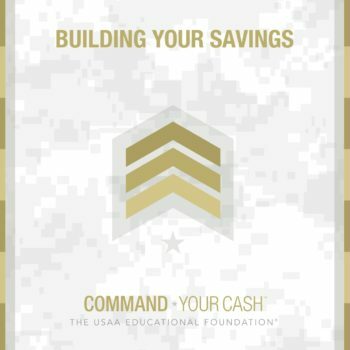 If you can’t save that much right now start smaller then use the regular pay increases built into the military pay system to increase your savings rate over time. And don’t forget about the TSP. It’s a great, low-cost way to invest for your future. Don’t buy an expensive car (yet). One of the first major and exciting purchases many of us get to make is buying a set of wheels. Who doesn’t love that new car smell? Unfortunately though, if you go too big, too young, this particular purchase decision could still be wreaking havoc on your finances long after the excitement and new car smell has faded. To put yourself on a better path, buy a starter car instead. 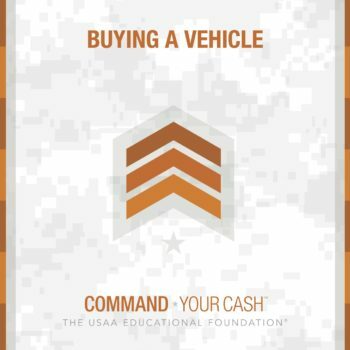 Get something that doesn’t squeeze your finances or commit you to a long-term loan repayment, trying to keep your all-in transportation costs under 10-15% of your gross pay. Then use the extra money you would have spent on the more expensive car to put yourself in great financial shape. That way, you can buy a more expensive car (and other things) later.